Stand Up Paddle racing may not be an Olympic sport (not yet anyway…) but it was still a golden day for SUP at the London Olympics. Krisztina Fazekas Zur has just won GOLD in the Women’s K4 500m @ the London Olympics. 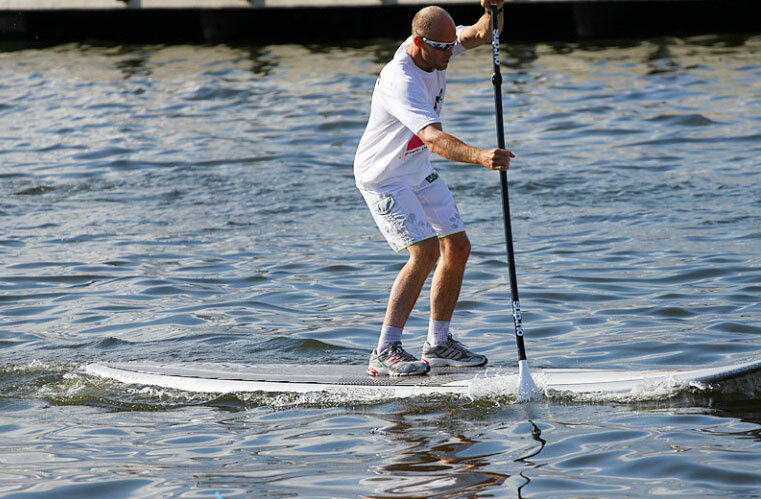 Zur, who represents Hungary but is based in California, is a well-known SUP racer. 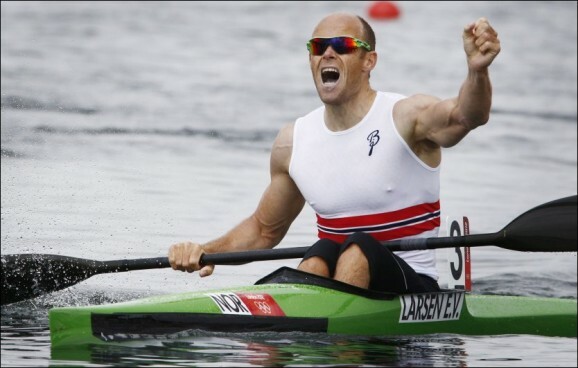 In addition to being a 4x sprint kayak World Champion, Zur has won several Stand Up Paddle races, such as the DOCC race and Hovie SUP Festival. 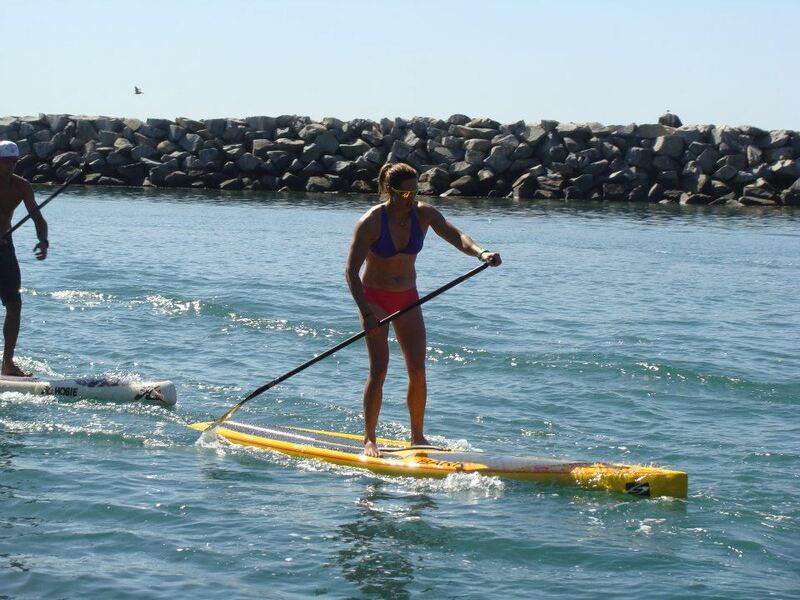 She’s is also a member of the elite Quickblade and Boardworks SUP teams. 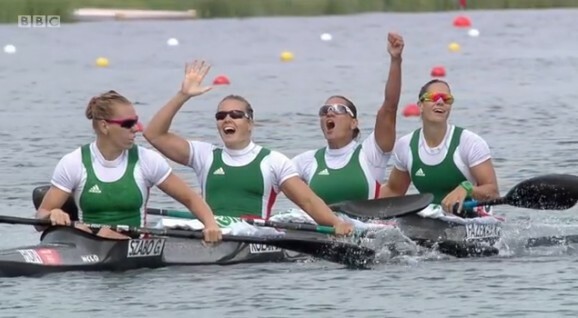 Her husband and coach Rami Zur (a three-time Olympian himself) is also a well known SUP racer. 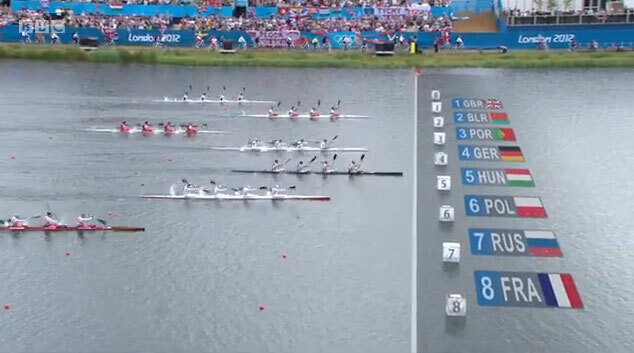 It was actually a double-gold for SUP today, with Norway’s Eirik Verås Larsen winning the men’s K-1 1000m race. Larsen is a keen Stand Up Paddler as well, having competed in SUP races back home in Oslo. It’s exciting to see the cross-over between SUP racing and other paddling sports. We’ve already seen the dominance of outrigger paddlers such as Travis Grant and Danny Ching, as well as prone paddleboarders such as Jamie Mitchell. 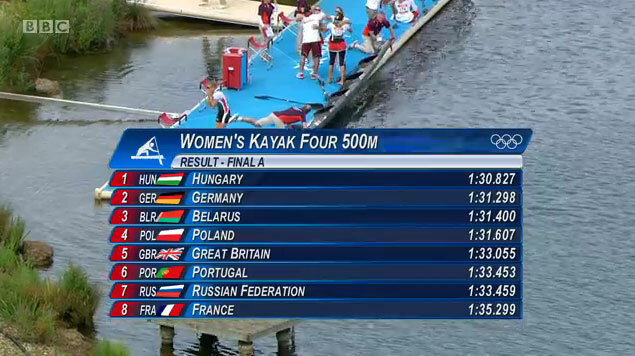 Now perhaps we’ll have more Europeans (who dominate kayak racing) taking up our sport.